Stay at the only waterfront hotel in Johor, savour local delicacies while learn and play the country’s pride, Wau Bulan or Moon Kite. 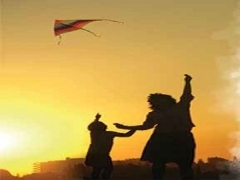 Book ‘Jen’s Go Local’ to enjoy local buffet breakfast for both you and your kids, with 2 Jen’s Go Local kites! Reservations must be guaranteed by credit card. Guaranteed reservations cancelled less than 24 hours prior to 6pm on the day of arrival (hotel's local time) will be subject to a fee equivalent to the charge for one night.